Vher528 from deviantart designed this new visual style for Windows XP and Windows Vista. 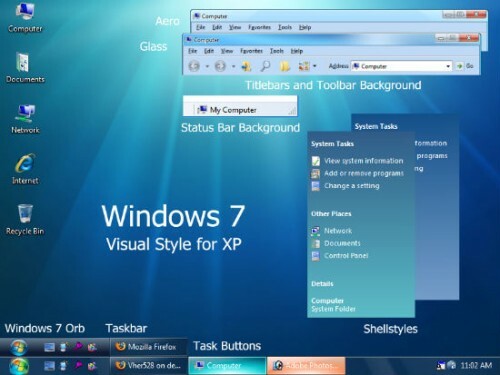 It is an updated version of Windows 7 V2 visual style. What’s New in Windows 7 V3 ? @ Bad: Yeah its really nice!